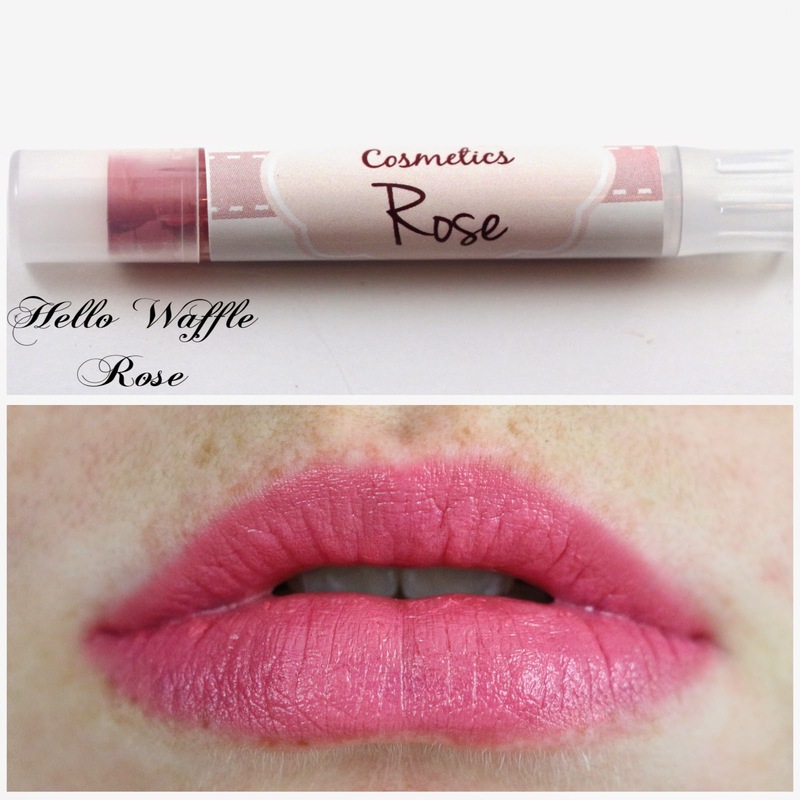 A little while back, I grabbed the Hello Waffle Painted Flowers Collection, a couple of the new Elements Lip Paints, and the newest Lip Colors. 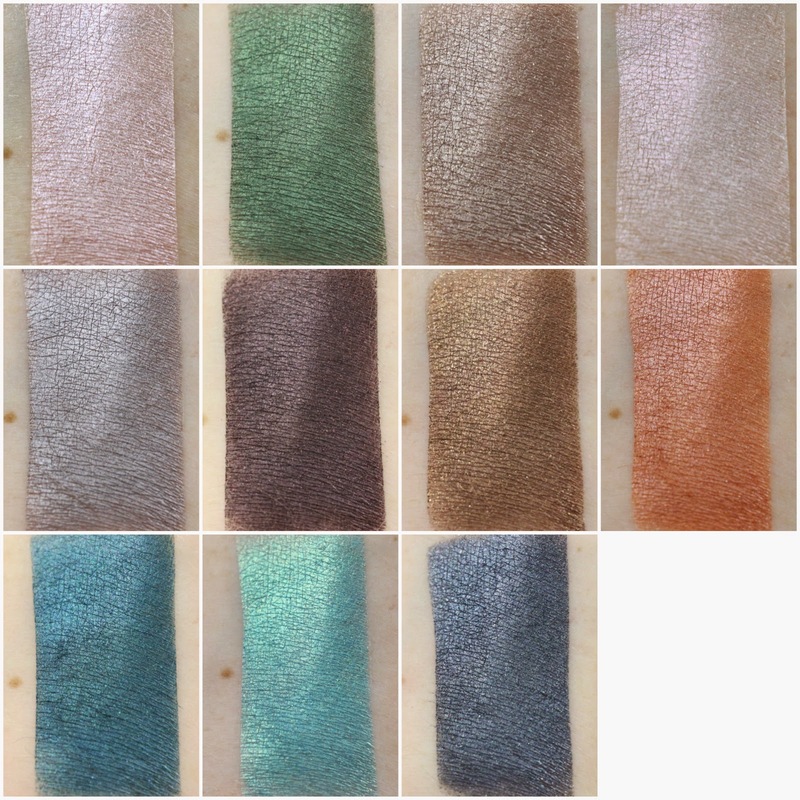 I am finally getting a chance to swatch and review them all! Since Hello Waffle is international shipping for me, I tend to make large purchases at once, and then just review everything together. 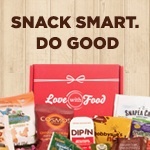 I am loving some of the new and improved products! Shipping - My order shipped 9 days after I placed my order, and arrived in 5 days via USPS from Canada to California. Product Size - If you purchase the whole Painted Flowers collection, you can get it in samples, mini halfling jars, or full size jars. 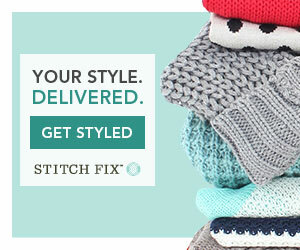 If you're getting colors separately, they are only available in mini and full size jars. The lip products are only available in full size. Free Samples - It's a bit of a mixed bag on what you'll get as a free sample, but I received a full size blush with my order. Animate Chess-piece - "Pale dusty pink sheen with a touch of violet." This shade made it into my favorites one month, it's one of my absolute favorite brow highlight shades. I find that a lot of lighter shades like this tend to disappear when using as a highlight, but this one blends well and shows up on. 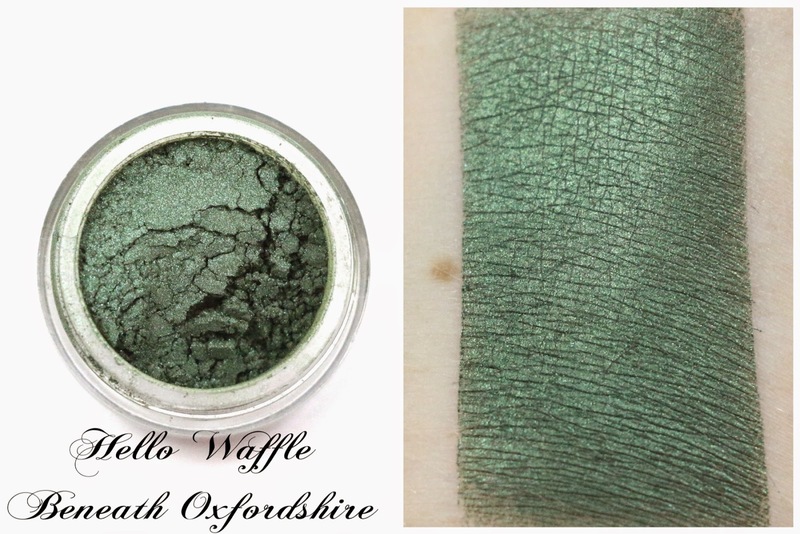 Beneath Oxfordshire - "Vibrant forest green shimmer." This is a really pretty dark forest green, and it went on so smoothly. 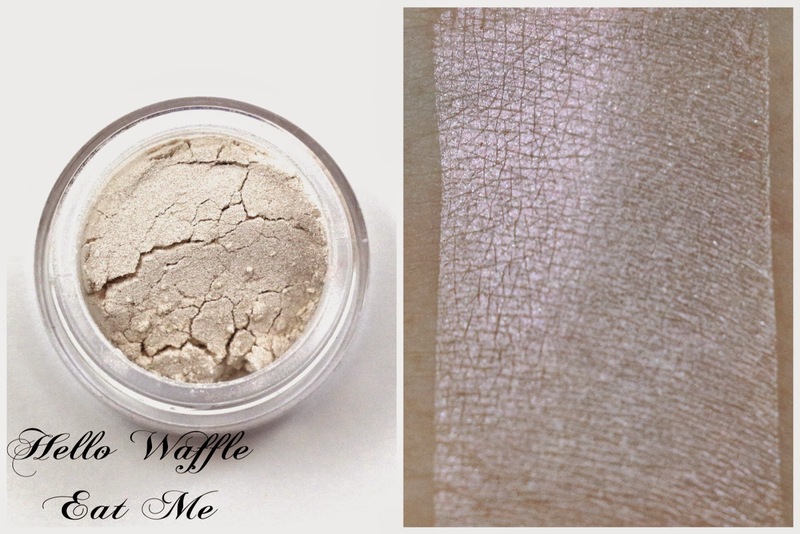 Dormouse - "Pale sparkly taupe." This is a great everyday kind of neutral shade, this will definitely be worn a lot. Eat Me - "Light satin white with a pink sheen." I have a few shades with this kind of white base with pink sheen, so this isn't completely unique to my collection. But it would also make for a nice brow highlight. 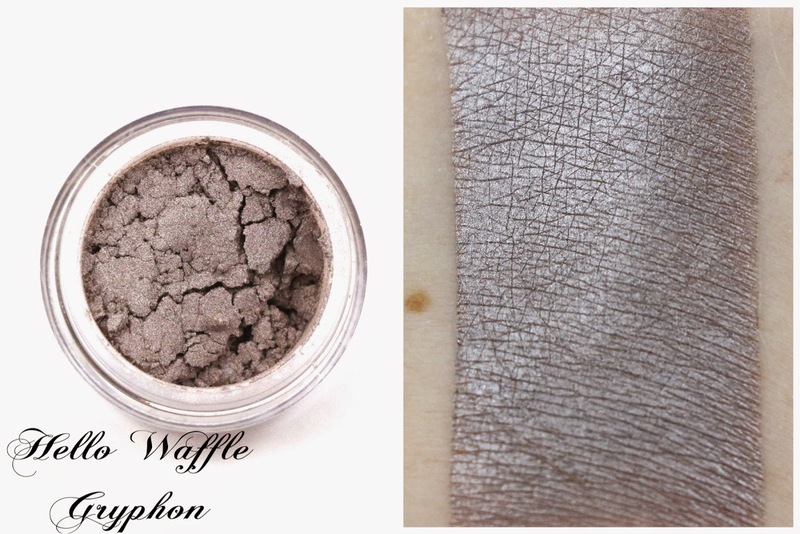 Gryphon - "Muted bluish-gray taupe." I think you could pair this shade with many others in this collection, including Hearts, Moonlit Grin, and Rule 42. Hearts - "Blackened red with red shimmer and red highlights." This is a really dark reddish purple shade, almost black. It would make a good liner for any look with these shades. 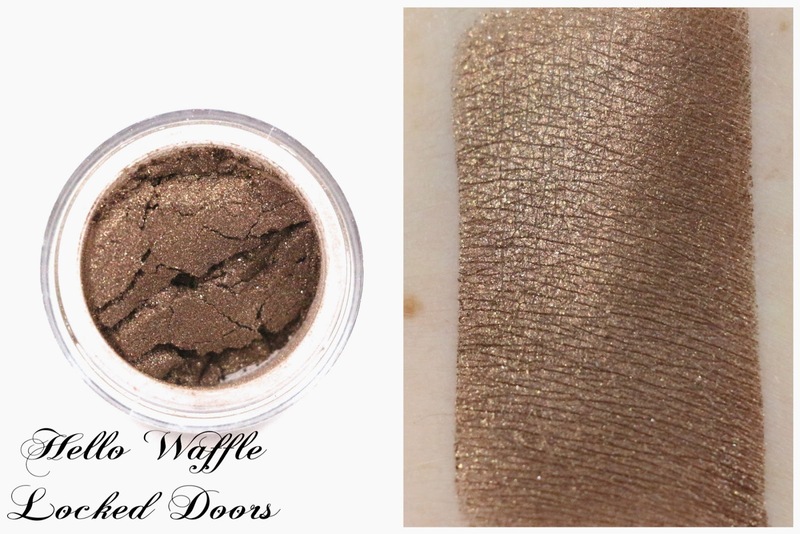 Locked Doors - "Dirty brown with gold shimmer." This is another staple neutral shade, that I would wear with Dormouse. 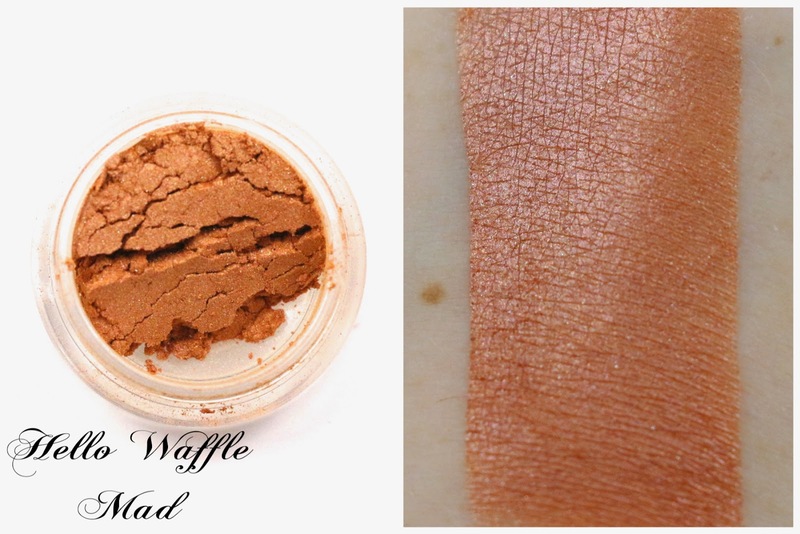 Mad - "Shimmery orange peach that leans copper with a gold undertone." I usually don't like orange shadows, but this one is kind of a peachy orange which I think I like. I think it would look nice paired with Locked Doors. 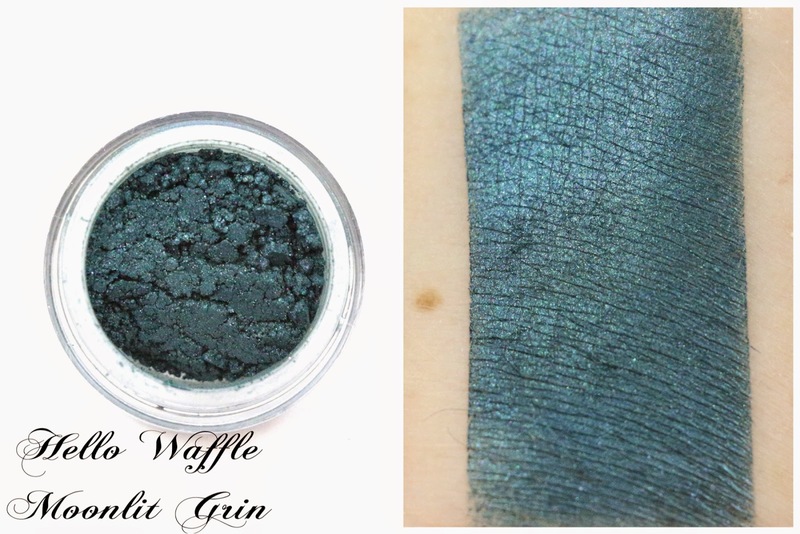 Moonlit Grin - "Mysterious dark rich teal with green, blue, and purple microshimmer with an eerie purple sparkle." This is a dark teal, which would look awesome paired with Pool of Tears. 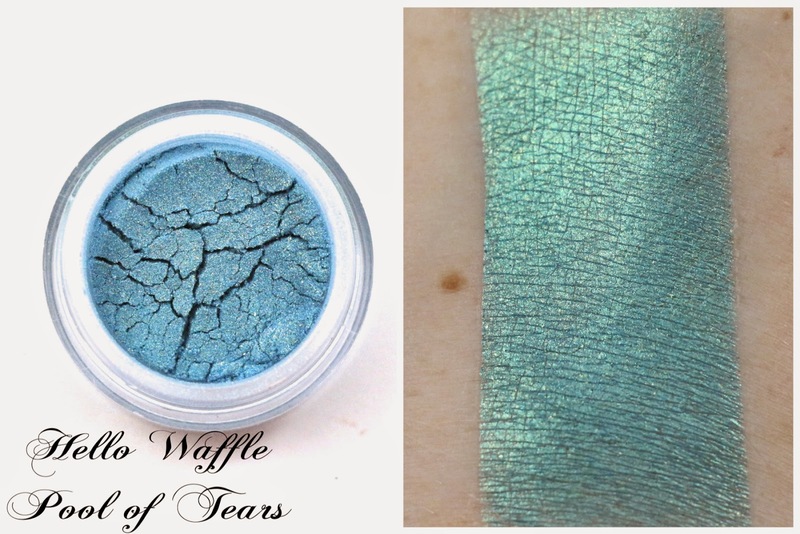 Pool of Tears - "Light blue with golden shimmer." I love this shade, it reminds me of a mermaid. And the name is so perfect for this pool blue. 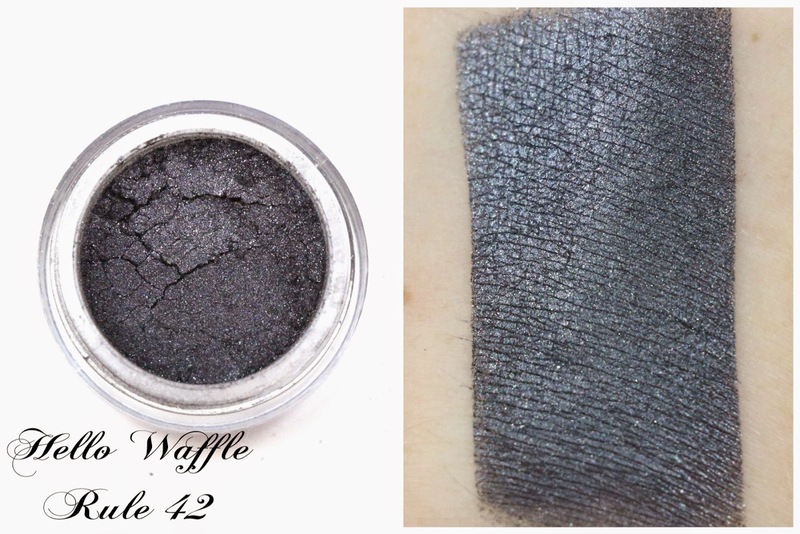 Rule 42 - "Dark blue-ish grey shimmer." 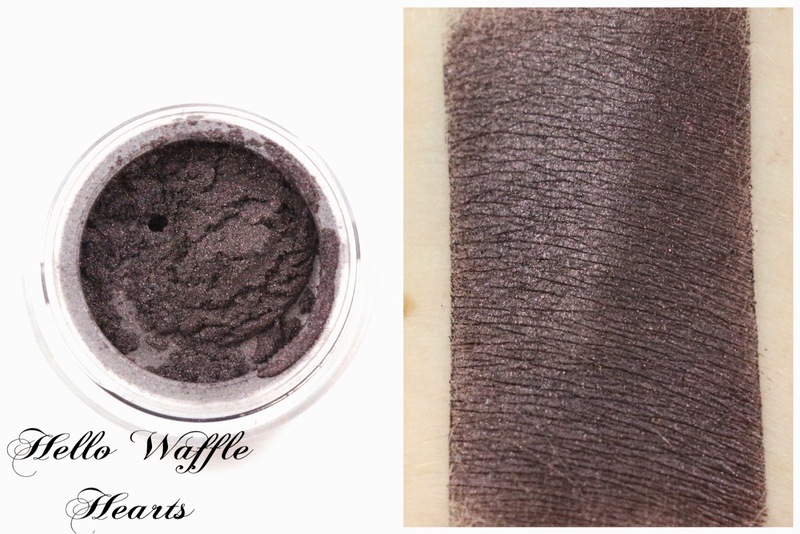 This is a dark blue gray shade which would make a great eyeliner or outer corner and crease shade. Fire - "Red. Slight shimmer." I absolutely loved applying these Elements Lip Paints. They were so easy to apply, and while did take time, they were so opaque and stayed where put. They're not too glossy, but instead you do kind of have to paint them on. I love this shade though, it's a dark brown red. I should also mention these are inspired by Avatar: The Legend of Korra, which is an animated tv show. Water - "A glowing blue-purple." This shade is fun, not super wearable, but it applies so nicely. I hope there are more colors that come out with this same formula because I am really enjoying it. Doll - "A bright barbie pink." These small tubes are the new packaging for the lip colors from Hello Waffle, and the formula is a bit hard in the tube, but softens up when you apply it. This shade is a bright fuchsia pink. Ginger Kitties - "An orange-toned peach." This shade was one of the original Hello Waffle lip colors, before Christine took them off the store to reformulate them. I really like this shade, it's a warm toned peach. Orchid - "A vibrant warm purple." 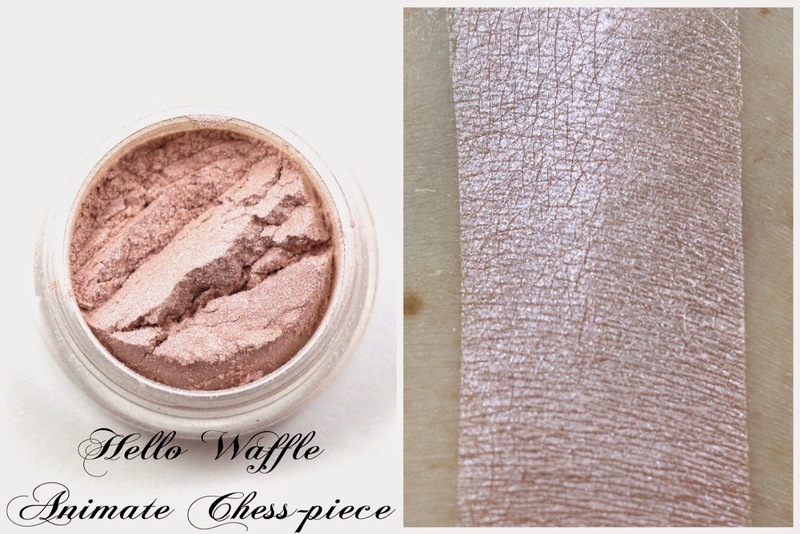 This shade is a bit darker than Doll, but does look very similar. I wouldn't say you need both if you're interested in a shade like this. Polyp - "A bright pink-toned coral." 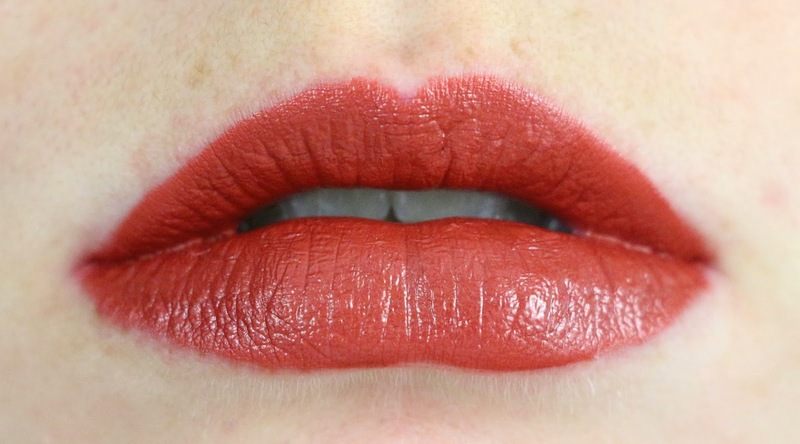 I always love coral lip colors, and this one is just perfect! The other nice thing about the lip colors is that you can wear them kind of sheer, or build them up for a more opaque look. Rosé - "A warm rose-pink." This shade is a nice basic pink shade, with a bit of a mauve tone to it. Overall, I really like the Painted Flowers collection, and the Elements Lip Paints. 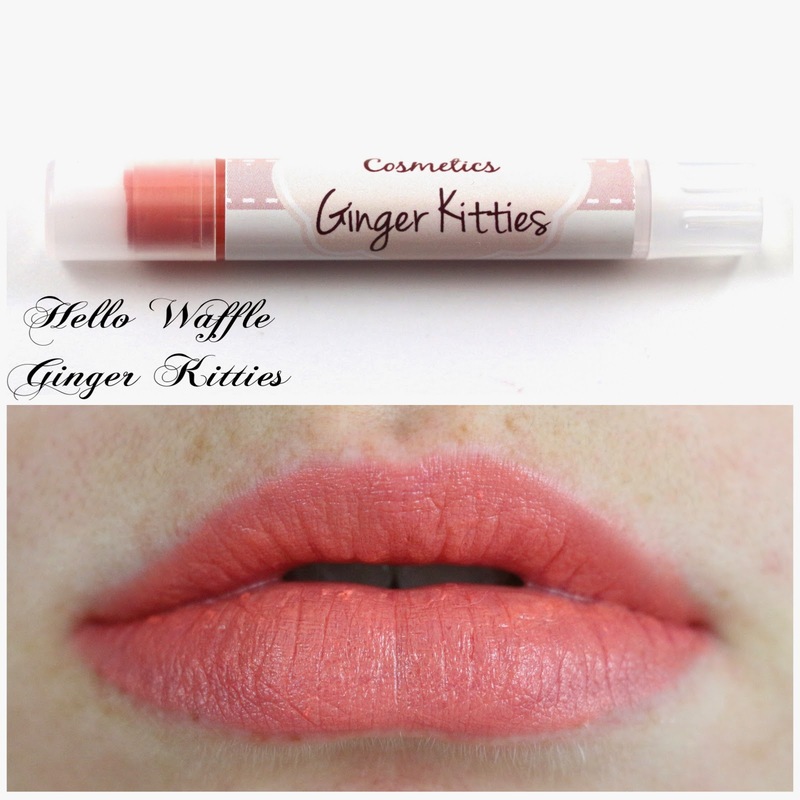 The new lip color shades and packaging are also working for me, with my favorite shades being Ginger Kitties and Polyp. I think the Painted Flowers collection is a great starter collection, with a lot of basic shades, and a lot of ways to match them together. 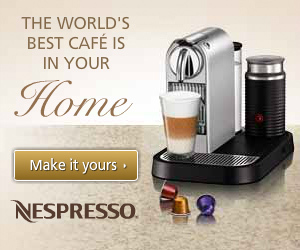 The formula is so nice too, that they are buttery and easy to blend. 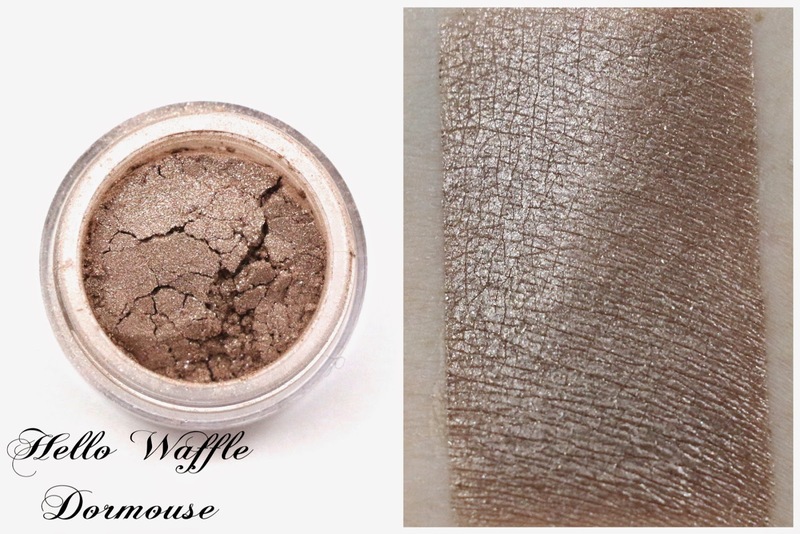 My favorite eyeshadow shades were of course, Animate Chess-piece, Dormouse, and Pool of Tears. But ideally, I could see myself using a lot of the shades together in a look. 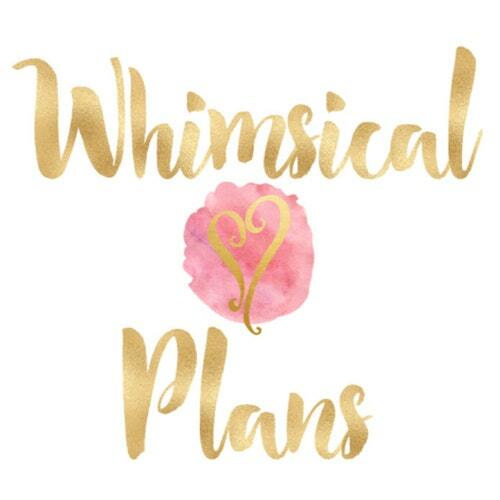 Availability - The Painted Flowers collection is seasonal, and will only be available through June 20th. The lip products are all permanent. Overall Satisfaction - My favorites were Animate Chess-piece, Dormouse, Pool of Tears, Ginger Kitties, Polyp, and Fire. I think it's definitely worth getting at least the Painted Flowers collection in sample form, and then maybe a few favorites in larger jars. 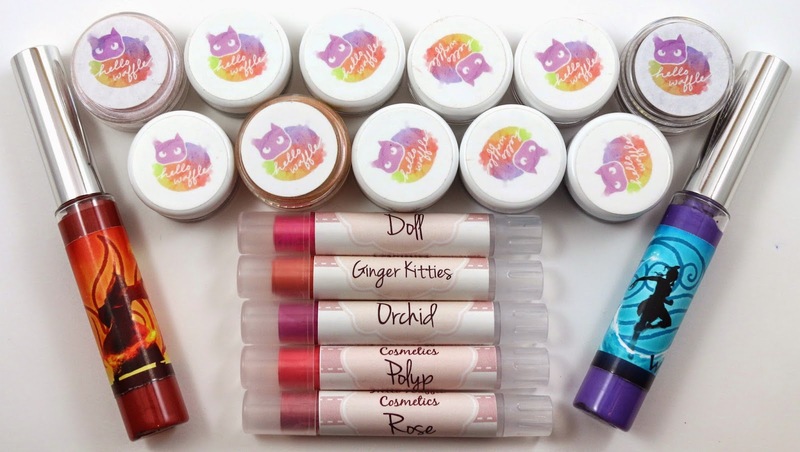 And the lip colors and Elements Lip Paints are worth checking out if you like any of the shades, as the formula is very plush and moisturizing. What did you think of Hello Waffle's Painted Flowers collection and lip products? Let me know in the comments!